Today, Nintendo released another major update for ARMS. It brings the game to Ver. 5.0.0, and adds a new playable character (Dr. Coyle) along with a new stage. If you’re already looking forward to the next major update and fighter, you’re probably going to be disappointed when you learn that there will not be any further content updates for the game. In the Topics blog post introducing the update (in Japan), Nintendo reveals that Ver. 5.0.0 is going to be the last major update for the game. Of course, the developers are still going to work on minor updates, to fix game balance and any issues that might pop up, but there will be no more additional fighters, stages, ARMS, or modes. 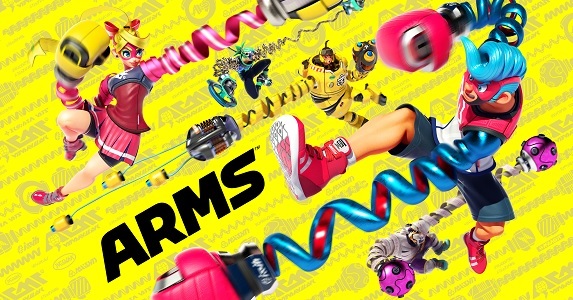 ARMS was launched in June, and since then, it has received many updates with additional fighters, stages, ARMS, game modes, and more. The best part? Everything is available for free. No DLC or Season Pass to purchase, and nothing is hidden behind lootboxes. You can find all the details about the various Software updates on this page!